Now remote communication is easy thanks to Social Media, some social media sites help us to send chat, various photos of video locations or starters. This social media is very exciting because it can see the activities of people who are shared and can also find friends. Can be used for communication between countries, now remote communication is very easy. Even some social media provide Video Calls and all of that is available on the PC Desktop Laptop or Smartphone so it is very easy to use anytime and anywhere. Here are some of the best Social Media in the World, based on the number of users, features provided, easy way to register, and ease of use. The first order is Facebook, a social networking service launched in February 2004. How to register for Facebook is very easy, only requires an email address and identity such as name, address, password, profile photo, and so on. Now Facebook has users in various countries, even everyday there are so many people who use Facebook. By using Facebook users can send messages, discussions, create groups, share video images, see status and events, and now users can also use the Marketplace feature to buy and sell items. If interested, can directly visit the Facebook website, register for free. Next is made from a large Google company, lots of people who use Google+. In addition to being used to send video picture messages, this can also be used for website or blog promotions that we have. Besides that there are many exciting features provided by Google Plus. All features are provided free and the condition is to register, we recommend using Gmail email. This site is more condemned to a variety of Short Photos or Videos, used by Artists, Officials, to adults. On Instagram users can share photos, videos, or selfies with an exciting editing feature. Instagram can also be used for promotions because there are many users. Besides that Instagram can be used to store photos that can be used to advertise products on several buying and selling sites. Instagram application can be used on PC Laptop Computers or Android / iOs. Rivals from Facebook, Twitter is a social networking site that is simpler. But it has disadvantages such as users can only send messages with short characters. But even so, many people use Twitter. Users can find something that is becoming a trending topic so they can get updated information. 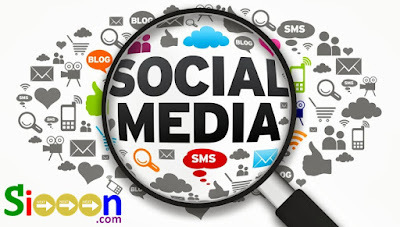 Business-oriented social networking sites, generally used as social networks for professionals. But now LinkedIn can be used by everyone for free. The features provided are the same, users can share photos of videos and exciting events. Until now LinkedIn is still a social media that has very many users and every day there are many different people on this social media site. Keyword : Social Media, Social Networking, The Best Social Media in the World, What is Social Media, Understanding Social Media, Explanation of the Best Social media, Ease of Social Media, How to Use Social Media, Social Media Features, The best social media sites in the world, the best social networking sites in the world, the best social media website in the world.